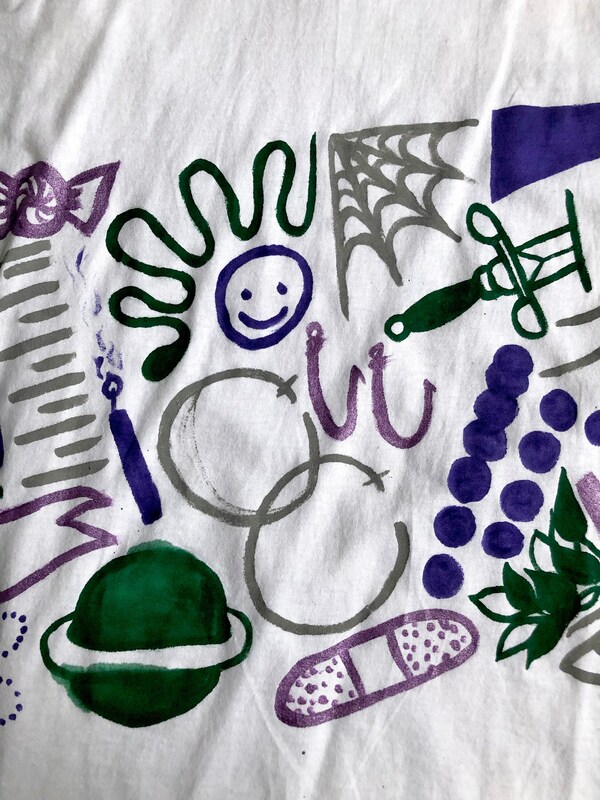 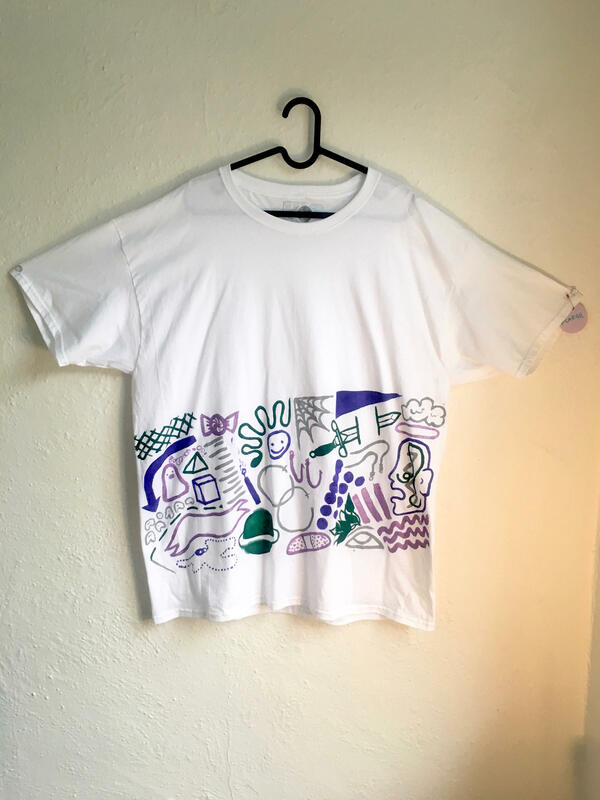 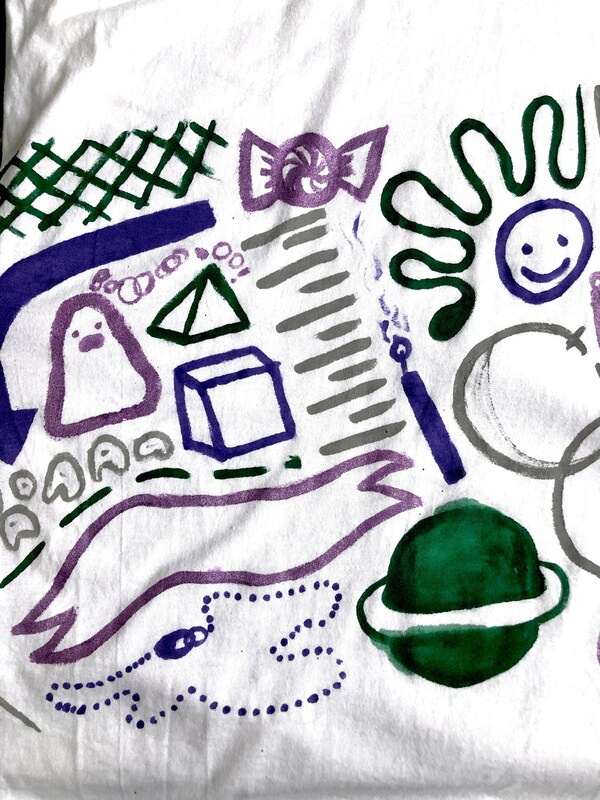 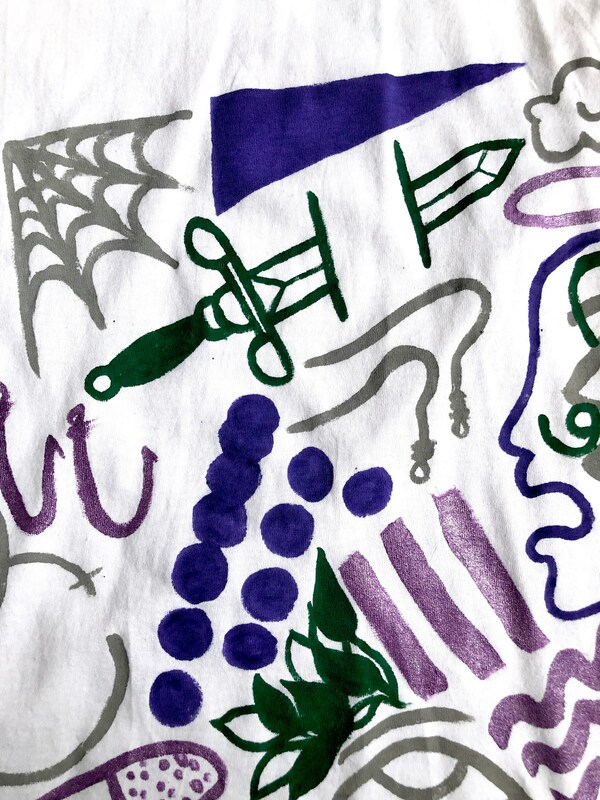 This listing is for one hand painted white cotton t-shirt, in an adult size XL (extra large). 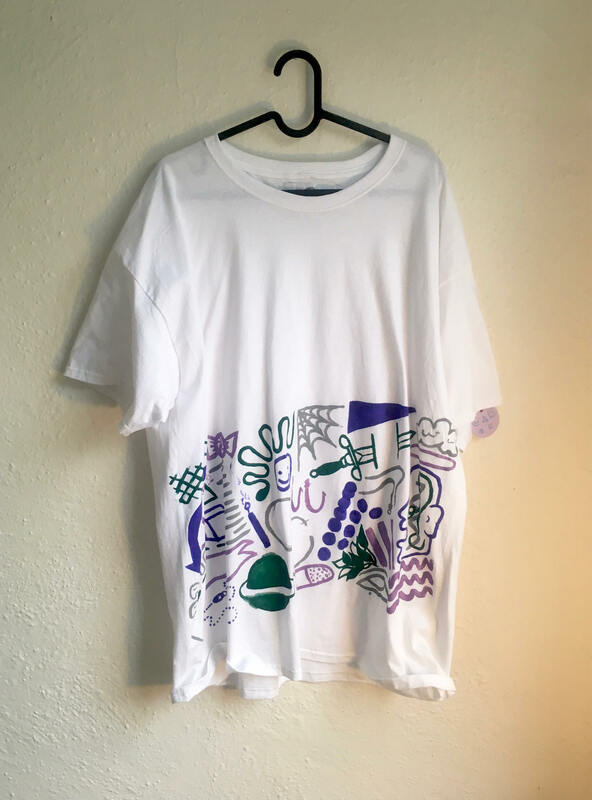 It is a one of a kind wearable piece of art that was painted with fabric paint, which means it is machine washable and fade proof! 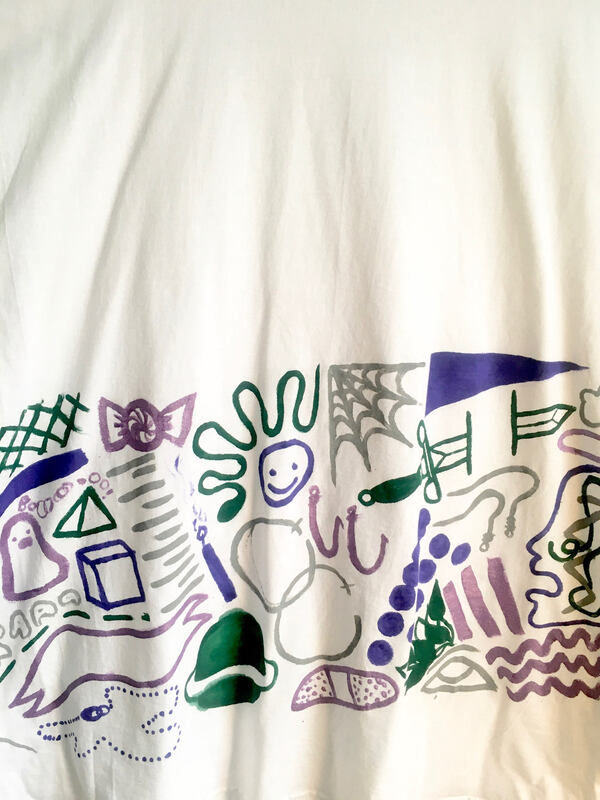 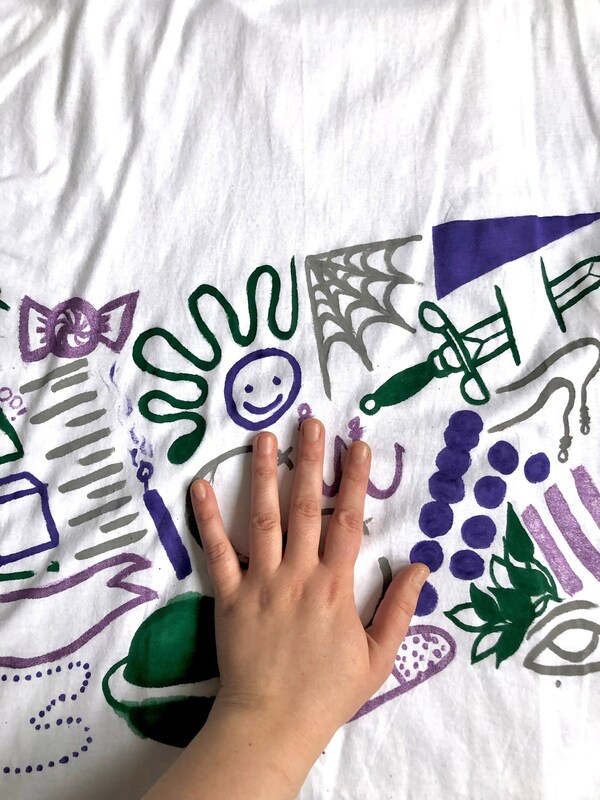 The colors featured in this shirt include gray, metallic lilac, dark purple, and spruce green.